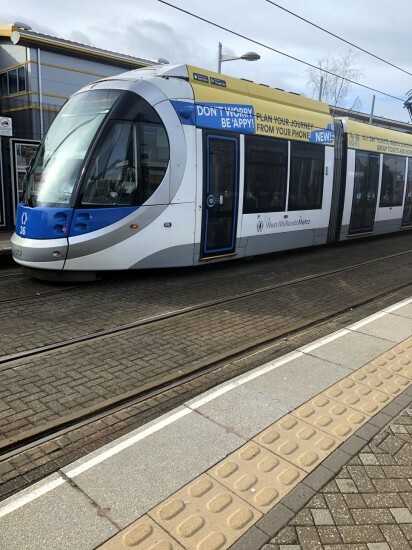 Up until now West Midlands Metro’s Urbos3 trams have been devoid of external advertising but that has changed with 36 receiving adverts for the new My Metro app – along with a bit of the new blue livery on the ends. 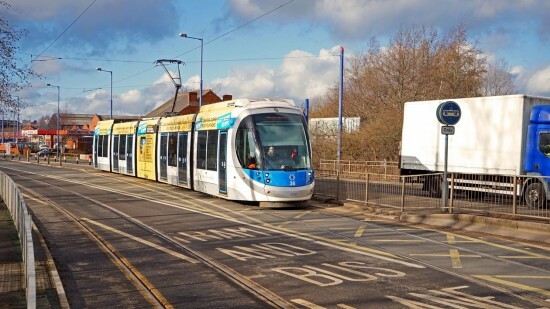 The result is a bit of hotchpotch as the tram now includes new livery, old livery (minus the magenta) and adverts but it is certainly something a bit different! 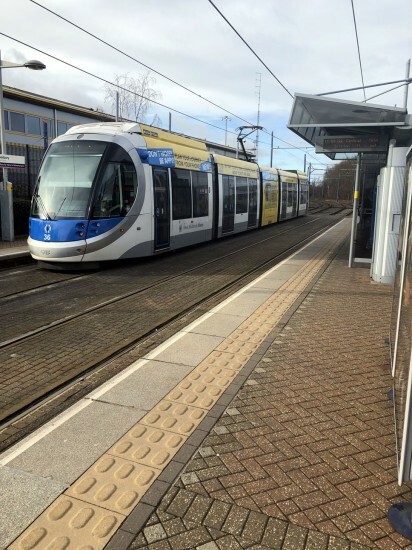 The tram was first spotted in its new guise on Thursday 7th February and the style of advert follows the same pattern as fellow CAF built trams in Edinburgh with adverts along the whole tram at roof height and then limited full height ads. 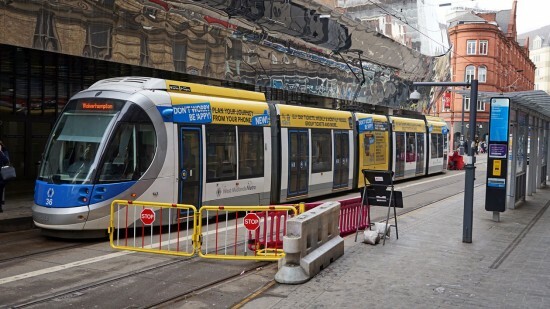 As opposed to Edinburgh who have longer trams just one section has a full height advert (much like seen in Nottingham on some of the Incentro trams of course) with this being the door free central third section of the tram. 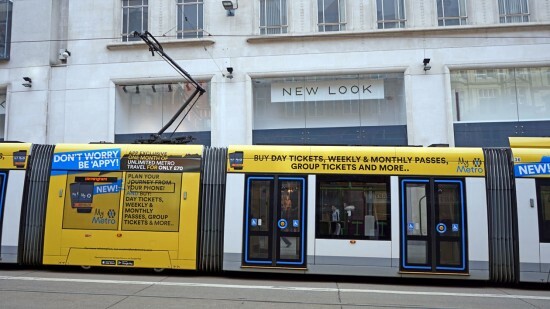 With the adverts applied at roof level – including on the battery compartment – this takes away the magenta livery colour on the side and with a new blue section applied to the front of the tram, magenta is no more on 36! To finish off the new look, large numbers have been applied on the tram ends. 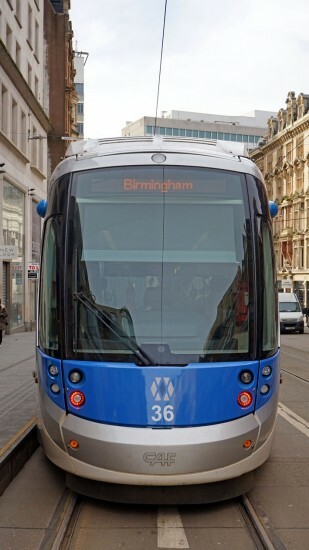 36 thus becomes the closest to an all over advert on West Midlands Metro since it opened – will it be the start of commercial advertising on the newer trams? We expected 2019 to see new liveries on the network but this design is certainly not what we were expecting! 36 at Wednesbury Great Western Street on the first day of use in its new livery. A new look for 36 – outside New Look! The centre of 36 is seen here including the full height advert. An end view of 36 showing the new larger fleet number. 36 stands at Grand Central.